Dog Ear Publishing releases “Math Overboard! 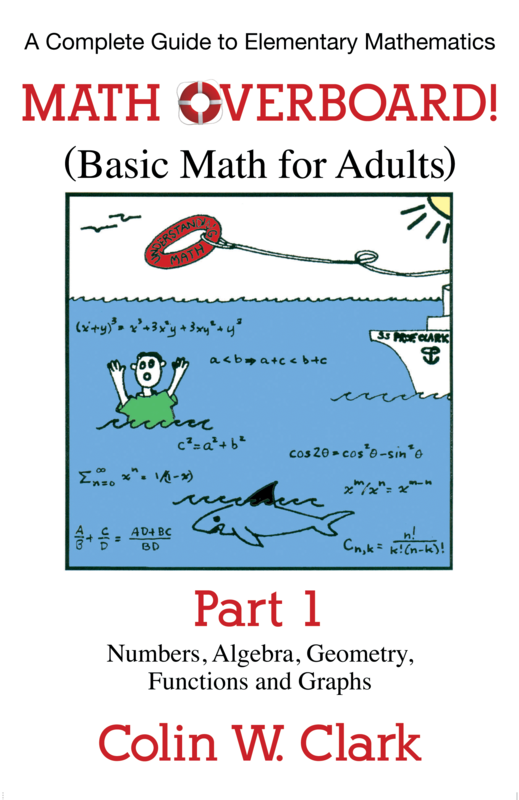 (Basic Math for Adults) Part 1: Numbers, Algebra, Geometry, Functions and Graphs” by Colin Clark. A university mathematics professor offers a comprehensive guide to elementary mathematics in this new book released by Dog Ear Publishing. Those who break out into a sweat at the mere mention of quadratic equations or proportions can breathe a sigh of relief. A new book by a longtime mathematics professor breaks down basic math step by step, helping fill in any gaps in mathematical training. In addition to assisting students interested in more advanced, college-level courses, the book describes real-world uses for math in science, technology, finance and other fields. 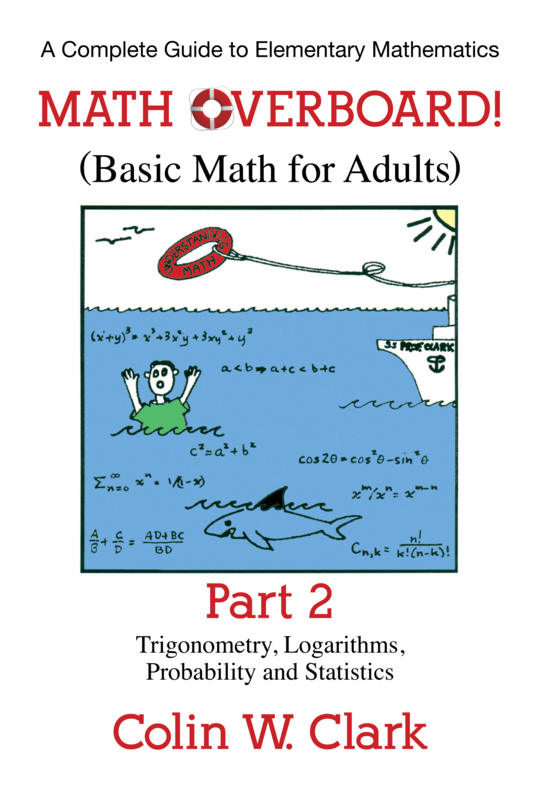 “Math Overboard!” emphasizes both computational skills and comprehension of math. Its format allows for both reviewing all standard elementary math skills and honing specific topics. A diagnostic test to identify problem areas, together with review problems at the end of each chapter, further directs readers to ascertain which topics require more study. Topics range from basic addition, subtraction, multiplication and division, to scientific notation, proportions, speed and acceleration, algebra, Euclidean plane geometry and analytic geometry. This comprehensive resource reveals math history and presents logical approaches to calculations with a sprinkle of humor, as well as tips for avoiding math errors. Extensive sample problems, review sections at the end of every chapter and a detailed index add up to an invaluable tool for learning the ins and outs of basic, school-level mathematics. Author Colin Clark, professor emeritus of mathematics at the University of British Columbia, wishes his students had been able to use a book like this as they tried – and struggled – to grasp calculus after their previous math education. He also wrote “Mathematical Bioeconomics – The Mathematics of Conservation,” and “Dynamic State-Variable Models in Ecology.” He and his wife, Janet, live in a suburb of Vancouver, Canada.